Using keywords and/or keyword phrases (these 2 terms will be used interchangeably throughout the article) is critical if you want your website to climb that all-important Google ranking system ladder that systematically crawls through your webpage’s looking to evaluate all your content. Know that keywords are a necessary and essential part of SEO, giving your website the opportunity to not only climb the ladder, but reach the very top! Although it may seem like using keywords is a fairly simple process and should thus be self-explanatory, there are some rules that should be adhered to if you want to do it right. The trick is not only choosing the right keywords, it’s knowing where to place them in order to obtain optimal results. Also, it’s as much of an art as it is a science. 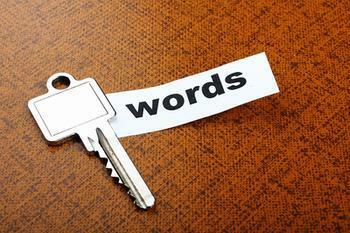 Adding keywords haphazardly to your website could bring unintended negative results. Since it’s nearly impossible to address all of the information available on keywords, here’s a truly basic keyword overview. Keyword Selection. The keywords you choose need to represent your particular website. Once you’ve found a good selection, narrow down your choices to those that are unique to your site and have low to moderate competition. Keyword Density. Refers to how often keywords are used in a specific piece of content; recommendation is a 3% – 5% density. For instance, say you have written a 500-word article – the number of all keywords/keyword phrases inserted should show up somewhere between 15 and 25 times. Keyword Proximity. Refers to how close or how far your keywords/keyword phrases are located to each other. Once you’ve got a good understanding of keywords and their uses, it’s time to start creating a keyword list. Use this go-to list in order to come up with a variety of keyword combinations, of which some will work and some will not. Where Else Should Keywords be Placed? Using the right keywords to write articles and/or posts is a fantastic way to get your website noticed. Understand that it’s not enough to simply insert relevant keywords into your content, the content must also contain quality information in order to viewed as good content by Google when they search your site for ranking purposes. Make sure not to go over the recommended keyword amounts, as Google may penalize you for this! Also, keep in mind that your readers probably don’t want to read the same keyword phrase over and over again (keyword stuffing). So keep a close eye on your keyword count and be sure to mix things up a little to keep your website interesting! Make sure you error on the side of creating more readable content as opposed to trying to fit more keywords into it. Really great tips you have here! Thank you so much… This is a great site for newbies and start up companies to use as s guide in designing their own website.